Inauguration of the Egurtek Forum. 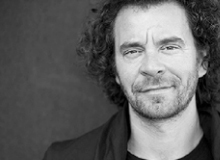 JURI TROY, architect by Academy of Fine Arts Vienna, Austria. 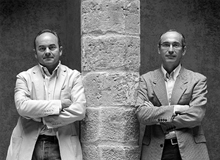 FERNANDO TABUENCA and JESÚS LEACHE, Architects, Egurtek Construction Award 2014. Pamplona, Navarra. TUDOR RADULESCU, Architect from the Faculty of GM Cantacuzino, Romania. Visit to the Expo Area (Luxua. Level 3) Break. GORKA ELORZA, Vitoria-Gasteiz. Architect from the Navarra School of Architecture. 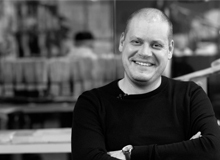 ANSSI LASSILA, Architect from Oulu University, Finland. EMILIANO LÓPEZ, Barcelona. Architects from the UPC ETSA Vallès. 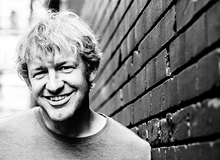 MICHAEL GREEN, Canada. Architect from Cornell University, Ithaca, NY. 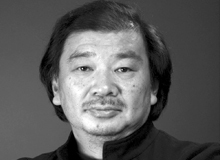 SHIGERU BAN, Japan. 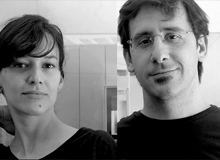 Pritzker Prize 2014. Architect from the Southern California Institute of Architecture. Josu Jauregi, President of GEA and Bioconstruction in the Basque Country Circle of Friends. 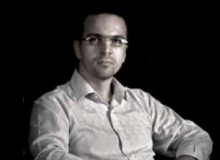 Co-founder of EKIAN ELKARTEA, Association of Bioconstruction Professionals in the Basque Country. Carlos Nazabal, Director of Tecnalia Certificación. Jon Abad, President of Eide and designer. Nerea Morgado, Director of the Visesa Technical Department. Germán Velázquez, Head of PEP in the Basque Country. Leire Salaberria, Director USSE (Union of Foresters of Southern Europe). Ana Belen Noriega, Secretary General of Pefc Spain. Iban De La Fuente, Compagnon and Professor in Les Compagnons du Tour de France in Anglet- Aquitaine. Angel Del Rio and Juan Carlos Alonso, Easo Institute. 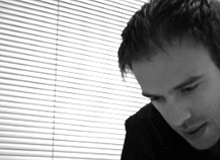 Jesús Cuadrado, UPV (University of the Basque Country). Jalel Labidi, Chemical Engineer and Doctor in Chemical Engineering at the UPV. In order to offer participating companies the possibility of showcasing their products and services to visitors, an area where companies will make brief commercial presentations (maximum duration of 15 minutes) has been set up in the MARKET POINT exhibition area. With the participation of the Basque Government’s Department for Economic Development and Competitiveness and the Canadian Embassy, an important institutional meeting between the Basque Country and Canada will be held, whereby the final programme is yet to be defined. Basque Deputy Minister of Agriculture, Fisheries and Food Industry, Mr. Bittor Oroz. Ambassador of Canada to Spain, Mr. Matthew Levin. General Director of Bilbao Exhibition Centre, Mr. Xabier Basañez. NEIKER Ms. Maria Eugenia Iturritxa. Researcher for Neiker on matters concerning forest health. Experience, examples and possible niche opportunities for Basque-Canadian collaboration in forestry matters. CDTI – Ms. Inmaculada Cabrera and Eric Holdrinet from the National Research Council of Canada/NRC. Regional managers of EUREKA and EUROSTARS: Technology and innovation programmes for cooperation with Canada. Commercial Attaché from the Canadian Embassy, Mr. Isidro Garcia, Innovative Products in the Canadian Forestry Sector. EU Timber Regulation, Mr. Alberto Romero, (AEIM). Mr. Iñaki Gerenabarrena. 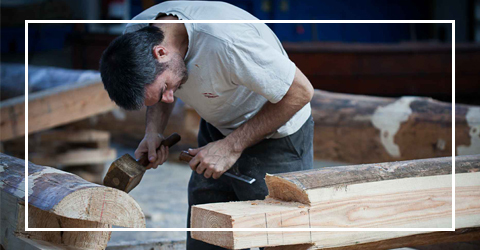 Technical manager for development of the Basque Country’s strategic timber plan. Advanced products and services of the Basque forestry and timber sector subject to Basque-Canadian collaborative projects. Sustainable Forest Management in Canada: Mr. Colin Templenton / Canadian Council of Forest Ministers. Hazi Foundation, Sr. Iñaki Gerenabarrena. Exhibition of Basque products made out of wood. The award ceremony will be held on Thursday, 20th October at 11.30am in the Luxua Hall at the BEC (Level 3) Expo Area. 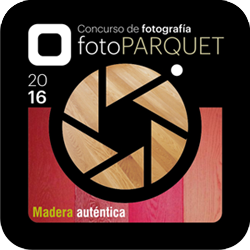 EGURTEK, International Forum on Architecture and Construction in Wood, which will be held at the Bilbao Exhibition Centre on 20th and 21st October, will host the award ceremony for the Competition fotoPARQUET, organised by the National Association of Parquet Manufacturers (ANFP). The award ceremony will be held on Thursday, 20th October at 11.30am in the Luxua Hall at the BEC (Level 3 of the Congress Centre at the Bilbao Exhibition Centre, alongside the EGURTEK Expo Area). The best photo will be awarded a prize of 350 Euros. There will also be a prize of 200 Euros for the runner-up. This year, the National Association of Parquet Manufacturers (ANFP) has organised a photography competition to promote, exhibit and defend authentic wooden floors. fotoPARQUET aims to ensure that consumers can DISTINGUISH and VALUE authentic wooden flooring and hence counter the influence of wood imitation ceramic, vinyl or synthetic floors in the market. fotoPARQUET is the continuation of the “Suelos de Película” (Film Floors) video competition which was successfully held by the National Association of Parquet Manufacturers two years ago in conjunction with the European Federation of the Parquet Industry (FEP). ANFP has received over two hundred photos, of which it has made a pre-selection of fifty images and the jury will select the best two from these. 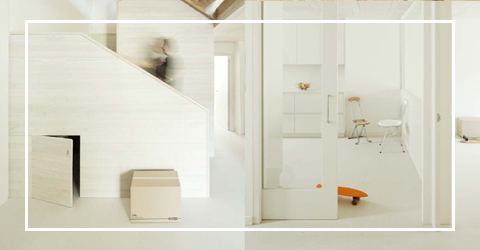 “The aim of the competition is to remind consumers that a wooden floor at home, at work or in public buildings is the most ecological, healthy, profitable and lasting option”, points out the project coordinator, Angela Herranz. “Compared with wood imitation flooring that systematically confuses consumers, we want to reach out to everybody and let them know that only AUTHENTIC WOOD is WOOD. Everything else is another thing”, concludes Javier Hervás, President of the National Association of Parquet Manufacturers (ANFP). Egurtek fulfils its three-fold objective of raising awareness, establishing and promoting businesses. Over the two-day period, experts and leading companies of the timber industry shared their knowledge, experiences and passions of a constantly innovating environment. To raise awareness of the need for a material that is sustainable and beneficial to the environmental balance, and to inform the technicians of its potential for application in construction and restoration jobs in order to boost trade were the Forum’s main objectives. More than 1,000 professionals participated in EGURTEK, now in its fifth year, which incorporated new spaces for learning and for contact between industry players. BUILDING AWARD: Casa del Condestable, by Tabuenca & Leache, Arquitectos. 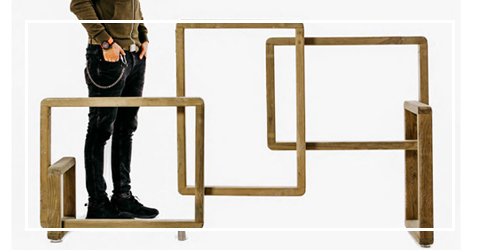 FURNITURE AWARD: Zig-Zag, by Iranzu Santamaría Iribas. 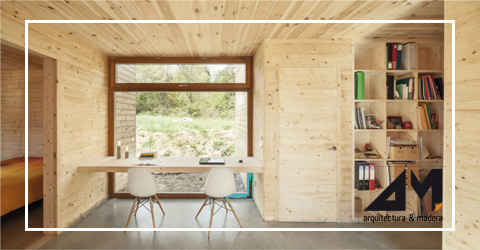 LOCAL TIMBER AWARD: Caserío (Basque farmhouse) in Gorbeialdea, by Beñat Saratxaga and Gentzane Goikuria. DESIGN AWARD: Harri Xakea, by Borja Angulo. In 2014, technical sessions dealing with the following matters were held at the Luxua Hall. In addition to the aforementioned sessions, an important Basque Country-Canada collaboration workshop was held, where key aspects for both lands were discussed. The workshop was presided by the Deputy Minister for Agriculture, Fisheries and Food Policy of the Basque Government, Bittor Oroz and the Ambassador of Canada to Spain, Jon Allen. In the 5 trade shows it has held, Egurtek has welcomed 56 international speakers of renowned prestige. In a very educational and visual way, the Egurtek speaker explains in the conference the woodwork that has carried out, its features and the difficulty in executing it.